When my daughter was applying to independent schools just a few years ago, I was keenly aware that there was more to her than her academic record. Would a file, for example, share the story of her deep empathy for others? As the executive director of the Enrollment Management Association (formerly SSATB), a nonprofit membership organization for independent schools and the governing body for the Secondary School Admission Test (SSAT), that personal experience was especially meaningful because it brought to light the need to help admission professionals go beyond the transcripts, teacher recommendations, and cognitive test scores. 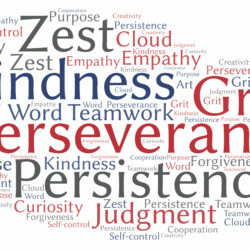 Traits that are hard to measure, such as teamwork, empathy, and integrity, are signs of values and character in action and part of what independent schools are looking for in children who apply for admission.